Gloria J. 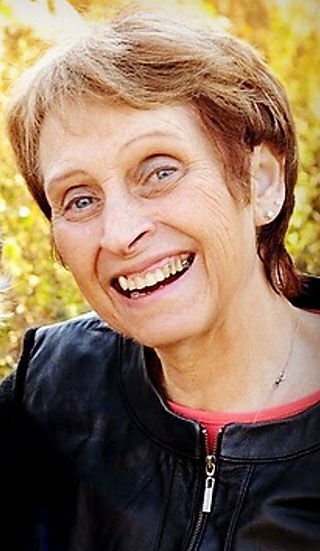 (Lichman) Lemmon, 66, of Britt passed away unexpectedly from a Pulmonary Embolism on Saturday, April 13th, 2019 at Mercy One North Iowa Medical Center in Mason City. Funeral services for Gloria Lemmon will be held on Thursday, April 18th 2019 at 11:00 AM at the Britt United Methodist Church (707 4th Street South West in Britt) with Pastor Robert Dodge officiating. Burial will be held at Evergreen Cemetery in Britt. Visitation will be held from 5:00 pm to 7:00 pm on Wednesday, April 17th, 2019 at Ewing Funeral Chapel (178 Center Street West in Britt). Visitation will also be one hour prior to services at the church on Thursday. Gloria was born June 13, 1952 in Forest City, Iowa to John (late) and Wavel Lichman. She married Merv Lemmon on June 13th, 1970. After they were married, they lived in Hayfield, Iowa and she worked at Winnebago. They settled in Augusta, Wisconsin in 1976 where they raised their children and farmed. Gloria also worked for Kwik Trip, where she was employed as a food service leader for many years. After an accomplished career ending as a district leader, Gloria retired from Kwik Trip. After that she and Merv owned and operated the Heartland Diner in Britt, Iowa, which they recently sold. Gloria was a dedicated wife, mother, and grandmother first and foremost. She truly loved her family and others so unconditionally and selflessly, and her love extended to others around her as she took on the mother-like role to so many people throughout the years. She had a special gift to make everyone feel welcomed, comforted, and loved. She was a dedicated hard worker with a passion for everything she did. She had so much energy, and a seemingly untiring desire to serve others. She was preceded in death by her father, John Lichman; father & mother-in-law, Harold B. and Eva Lemmon; sister-in-law, Rosalie Warner; brother-in-law, Harold Lemmon, Jr.
Gloria leaves behind to cherish her memory her husband of 48 years, Merv Lemmon; daughter Kari Wolfe (and son-in-law Mike Wolfe, grandson Jake Wolfe); daughter Nicki Lemmon Schwamb (and grandson Carson Schwamb); mother, Wavel Lichman; sisters, Debbie Larson, Sheri Moore, Pam (Dan) Kline; brothers-in-law Larry Lemmon, and Rodney (Kathy) Lemmon; special son-like friend, Andrew Sell; as well as many nieces, nephews, other family members and friends. All of these she loved and touched deeply. In lieu of flowers, the family requests memorials be made in memory of Gloria Lemmon to: Shriners Hospitals for Children and sent to the her family’s attention c/o Ewing Funeral Home, P.O. Box 342, Britt, IA 50423.